Pretty much every kid goes through a drawing and coloring phase, where there is nothing that pleases them better than expressing their creativity through art. Our advice? 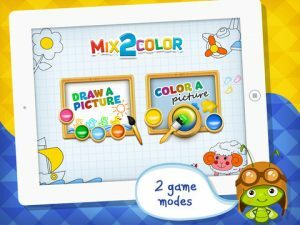 Skip the messy markers and paints, forego the piles of paper, and check outMix 2 Colorfor iPad, developed by Little Beetle/Arsidian LLC. Featuring cute, upbeat background music, Mix2Color offers two main modes of creative play. 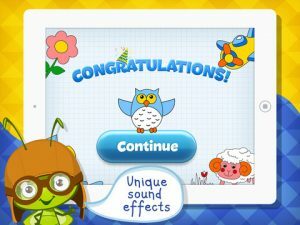 The first, Draw a Picture, allows kids to start with a blank canvas or build their own art around pre-existing line art templates of fish, rockets, cuddly animals, and more. Draw a Picture mode includes a whole host of drawing tools. There are three different paint brush tools, an eraser, a bright palette of a dozen colors, and a whole pile of playful stamps shaped like snowflakes, paw prints, hearts, insects, smiley faces and more. The second mode in Mix2Color, Color a Picture, is like a portable coloring book. 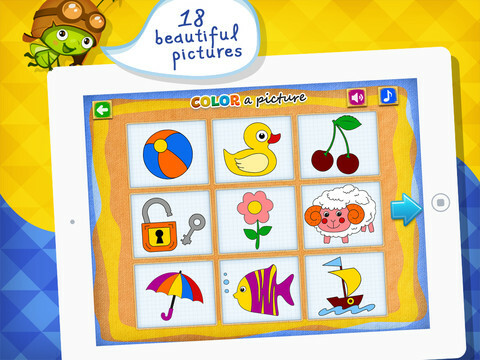 “Color a picture” mode features 18 different pictures altogether. Your child will be presented with a blank image, as well as a color guide for how the finished image should look. 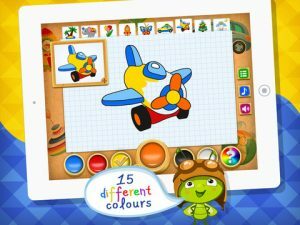 While not as creatively stimulating as the other mode, Color a Picture is great for teaching kids about how to blend colors together, and also helps them to build an attention to detail. In short, this mode is great for teaching developmental skills related to observation. 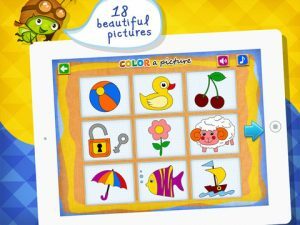 With the ability to save your kid’s work of art to your camera roll, adjustable controls for the music, and tons of templates to jumpstart their imagination, Mix 2 Color for iPad is a great app for kids who love drawing, coloring, or just doodling around. 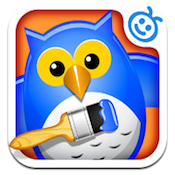 Rated for kids 4 and up, children can happily spend hours playing with this creative, colorful app. Mix 2 Coloris compatible with iPad. Requires iOS 4.0 or later. A small expedite fee was paid by the developer to speed up the publication of this iPad app review.